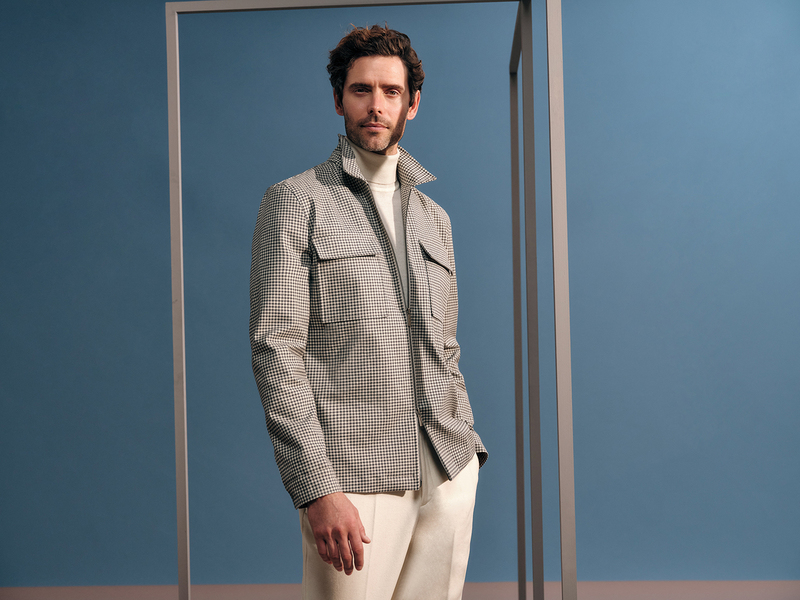 Soft Tailoring’ is the catchphrase for Autumn 2019: the focus is on super-soft washes, fabrics with a particularly soft touch and cashmere feel, and elegant textured qualities in melange tones. Twill as an essential base material adds a touch of class to classic themes and breathes new life into patterns such as pepita, herringbone and glen check. Bright aubergine adds a dash of colour and emphasises the premium quality of the collection in a heritage look. Learn more. Our Autumn/Winter 2019 blouse collection superbly combines trends as diverse as the desire for a sense of ease in fashion and the quest for new ideas. The blouses offer a range of unusually placed details, new collar variations and surprising style combinations. The colour palette provides firm grounding with warm natural shades offset by highlights in bold colours. The broad variety of shapes is also a testimony to the fact that the blouse sets the agenda as a statement and key piece of the wardrobe. As a sophisticated single piece, it takes the stage in an ever new array of silhouettes and details. Learn more.